It overlooks popular World Heritage Sites and attractions such as the Tower of David, Jaffe Gate and the Walls of the Old City. The David Citadel Hotel is strategically located on the King David Street in Western Jerusalem. 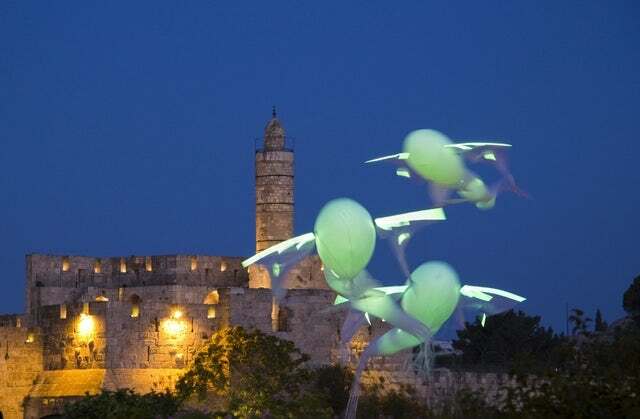 It overlooks popular World Heritage Sites and attractions such as the Tower of David, Jaffe Gate and the Walls of the Old City. With a staff body that prides itself in being the best in Israel, world class amenities and great views, your tour of this old country could not start at a better place. The hotel boasts a total of 384 rooms, all designed to leave a lasting impact on the guests. They represent the best of Israeli hospitality. Amenities that you can expect to find in the rooms include; dual line telephone, king size bed or 2 twin beds, a spacious bathroom, cable TV, in-room safe and air-conditioning. Accommodations at the hotel are classified into several categories to suit different space and budget needs. Of these categories include; Standard Rooms, Royal Rabin Suite, Presidential Suites, Junior Suites, One Bedroom Suites, and Executive Suites. All suites feature private terraces. Guests staying in the suites are given VIP treatment. For your dining needs, you are welcome to try the Lobby Lounge where you will enjoy your meals as you take in the breathtaking views of the Jaffa Gate and the hotel swimming pools. At the Scala Kitchen and bar, you will be served with fine meals that will also include top-shelf spirits, boutique wines and cocktails. If you are into Mediterranean food, try eating at the Seasons Restaurant and if you are into grilled specialties, you will never go wrong at the Pool Grill Bar. Guests at the hotel are treated to great relaxing experience at the spa and gym. The hotel features state-of-the-art fitness center, 10 treatment rooms, dry saunas and aerobics room. The spa follows the Feng Shui principles to help the guests relax. The hotel is popular for hosting events such as weddings, exhibitions, conferences, occasions for large families etc. Its ballroom can host up to 420 guests. Your wedding can take place under the Israeli night sky at the pool and afterwards a reception at the Grand Ballroom that feature hand painted Moroccan ceiling. The selling point of this hotel is the ability to explore many points of interest in Jerusalem including; the Walls of the Old City, the remnants of King Solomon’s Temple, Via Dolorosa, and the Dome of the Rock on the Temple Mount among many others. Impressed? Why don’t you make a reservation today? You can see comments about the resort on Trip Advisor here.